Your plug-in hybrid or all-electric vehicle can help reduce oil dependence. It can also reduce emissions of greenhouse gases (GHGs) that lead to climate change if the electricity you use is produced by renewable energy. 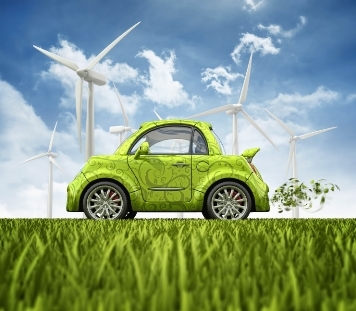 Even if most of the electricity in your area is generated by coal or other fossil fuels, you may be able to purchase green power for your vehicle. Green power is electricity produced wholly or in part from renewable energy sources. This includes wind and solar power, geothermal, hydropower, and various forms of biomass. The actual electricity delivered to your outlet may not be green. However, buying green power ensures that the power company (1) generates that amount of power from renewable energy or (2) purchases it from another provider. Green power lowers our dependence on foreign oil. It also produces less pollution than conventional power and causes no net increase in GHG emissions. So, buying green power helps protect human health and the environment. How Can I Buy Green Power? Check with your local power company. More than half of U.S. consumers can purchase green power directly from their electricity supplier. You can often purchase it in small "blocks" of electricity (a set number of kilowatt-hours each month) for just a few pennies more per kilowatt-hour, or less. If green power is not available through your local power company, you can support renewable energy development by buying renewable energy certificates (RECs), also known as "green tags." Many organizations offer RECs separate from electricity service. So, you don't have to switch from your current electricity supplier to buy them. To learn more about how RECs work, watch What Is a Renewable Energy Certificate? (). How Do I Know I'm Buying Green Power? The "Green-e Energy" certification program can help you identify green power products.